The Federation of Independent Burgundian and Jura winemakers brings together 66 winemakers from Burgundy and the French Jura. Together they will present several hundred wines. Not only will you save yourself the drive to Burgundy and the Jura, you will also get the undivided attention of all these wine makers under one roof. The wine fair takes place from 27 February to 1 March 2015 at the Martin Luther King complex in Annemasse, only 20 minutes from Geneva. 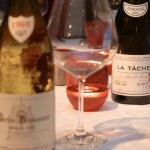 It is well known that Burgundy produces some of the worlds most refined reds. It is a region that is highly focused on the red grape variety Pinot Noir as well as the white Chardonnay variety. In 1395 the French Duke Philip the Bold, a vocal fan of Pinot Noir, declared the “vile and disloyal Gamay” unfit for human consumption. While unfair on Gamay, a famously fruity grape grown in the southern Beaujolais region of Burgundy, it demonstrates the fervent passion some wine connoisseurs have had for Pinot Noir wines over the centuries. What the Jura region might lack in fame it makes up for with distinction. This region sitting between Burgundy and Switzerland is famous for producing tasty unusual wines. It is known in particular for the Savagnin grape variety, a white grape which is often used to produce vin jaune (yellow wine) a fortified wine which pairs very well with French Comté cheese and walnuts. 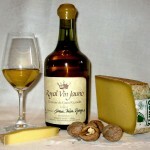 Poulsard, Trousseau, and Chardonnay varieties are also grown in the Jura. So don’t miss this opportunity to meet real independent winemakers. The people involved in growing, harvesting and actually making the wine. They will be there eager to discuss their wines and your reactions to them. When you find wines you like you can buy them at direct prices « comme au caveau ». Not only will you get to add to your cellar at great prices, you will come away with stories. Wine discussions at your next dinner party might well start with you recanting to your guests the convivial history of the wine told by the winemaker. We look forward to welcoming you at this engaging event. A bientôt! For more details on the event and how to get there, click here.